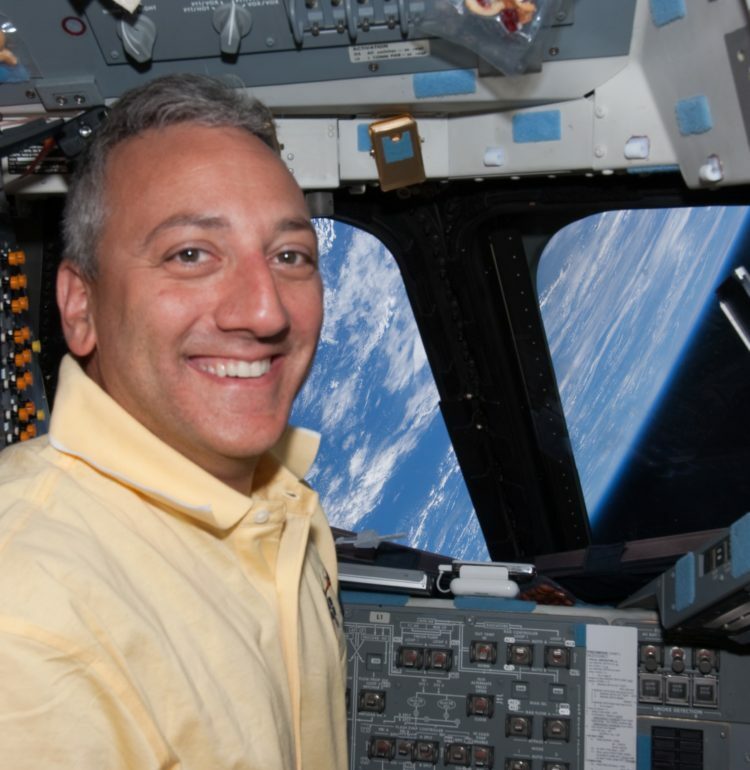 Michael J. Massimino is a former NASA astronaut, a veteran of two spaceflights, a professor of mechanical engineering at Columbia University, and the senior advisor for space programs at the Intrepid Sea, Air & Space Museum. Mike appears regularly on television news and talk shows, and has appeared on The Big Bang Theory six times. Mike’s memoir, SPACEMAN, was published by Crown Archetype in October 2016. Mike was selected as an astronaut by NASA in May 1996. He completed two spaceflights: STS-109 on space shuttle Columbia in March 2002 and STS-125 on space shuttle Atlantis in May 2009. STS-125 was the fifth and final Hubble servicing mission, during which Mike sent the first tweet from space. Mike and his crewmates performed the first in-flight repairs of Hubble, rather than the traditional replacement of entire instruments, and refurbished Hubble with four new or rejuvenated scientific instruments, new batteries, new gyroscopes and a new computer. The mission set a team record for the most cumulative spacewalking on a single space shuttle mission, and brought Hubble to its most technologically advanced state since its launch making it more powerful than ever. Mike has logged a total of 571 hours and 47 minutes in space and a total of 30 hours and 4 minutes of spacewalking in four spacewalks. Mike has also served NASA in many other capacities. For the Astronaut Office Robotics Branch, he developed a new robotics display system for the control of space robotic systems. As technical liaison to the Johnson Space Center EVA Program Office, Mike ensured spaceflight readiness and spacesuit integrity for spacewalks. For several years, he was a Spacecraft Communicator (CAPCOM) in the Mission Control Center for the space shuttle and for the International Space Station, serving as the primary communicator between the flight control team in Houston and the astronauts in space. He also served as the chief of the Astronaut Appearances Office. Prior to his storied NASA career, Mike worked as an engineer, focusing on space robotics systems and human-machine interfaces for space systems. While in graduate school, he did research on human operator control of space robotics systems. His work was awarded two patents. He also worked as a research engineer at McDonnell Douglas Aerospace in Houston. He was an adjunct professor in the Mechanical Engineering and Material Sciences Department at Rice University and an assistant professor in the School of Industrial and Systems Engineering at the Georgia Institute of Technology. Mike also served as executive director of the Rice Space Institute as part of NASA’s Executive on Loan program in 2013. Mike was born in Oceanside, New York, and raised in Franklin Square, Long Island. He received his BS in industrial engineering from Columbia University. He continued his studies at the Massachusetts Institute of Technology, receiving an MS in technology and policy, an MS in mechanical engineering, a degree of mechanical engineer and a PhD in mechanical engineering. Mike received two NASA Space Flight Medals and a NASA Distinguished Service Medal, among many other honors. He has published papers in technical journals and in the proceedings of technical conferences.